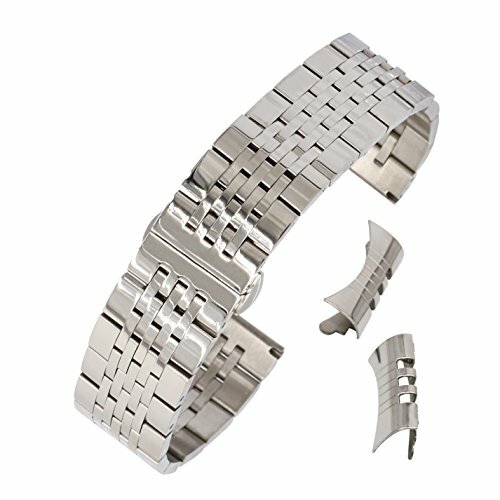 Silver polished metal watch band fits for 19mm case openings with both straight end and curved end. Adjustable length at about 186mm with removable links. Heavy type strap at the thickness of appro.3.5mm. High-tech electroplating guarantees our straps retain their fantastic appearance for a long time. Solid polished links create charming shinning gloss and fine quality feel. Straight end and curved end combination ensure a higher compatibility to your loved watch.